Historian of Christianity Ken Stewart is intent on setting the record straight about Reformed theology. He identifies ten myths held by either or both Calvinists and non-Calvinists and shows how they are gross mischaracterizations of that theological stream. Certain of these persistent stereotypes that defy historical research often present a truncated view of the depth and breadth of the Reformed tradition. Others, although erroneous, are nevertheless used to dismiss outright this rich body of biblical theological teaching. 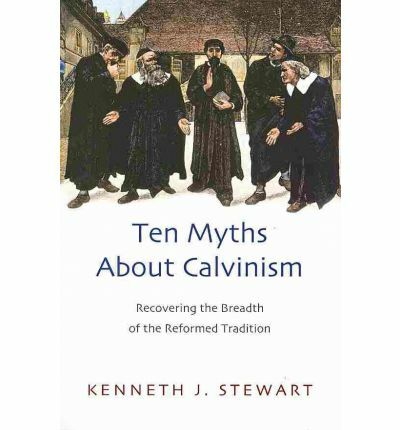 Some key questions Stewart explores in this provocative, informative and thoroughly researched book: Is the role reserved for John Calvin possibly exaggerated? Are there improper, as well as proper uses of the doctrine of predestination? To what extent is the popular acronym, T.U.L.I.P. a helpful device, and to what extent is it detrimental in encapsulating key doctrines? Should the Calvinist position towards movements of spiritual renewal be one of support, or one of suspicion? Didn't Calvinism more or less 'bring up the rear' in advancing the cause of world mission? Doesn't the Calvinist approach to Christianity encourage the belief that the redeemed will be saved irrespective of their conduct? Doesn't the Calvinist track-record show an at-best mixed legacy on critical issues such as race and gender relations? Hasn't the Calvinist concept of the church's role vis-?-vis the state tended toward theocracy? Isn't it true that Calvinistic expressions of Christianity have been a damper on the creative arts, whether the theater or painting or sculpture? Ten Myths About Calvinism is sure to enrich both promoters and detractors, students and scholars.